Nu-Tek Food Science announced today the launch of its first sodium-reduction product for the consumer market. 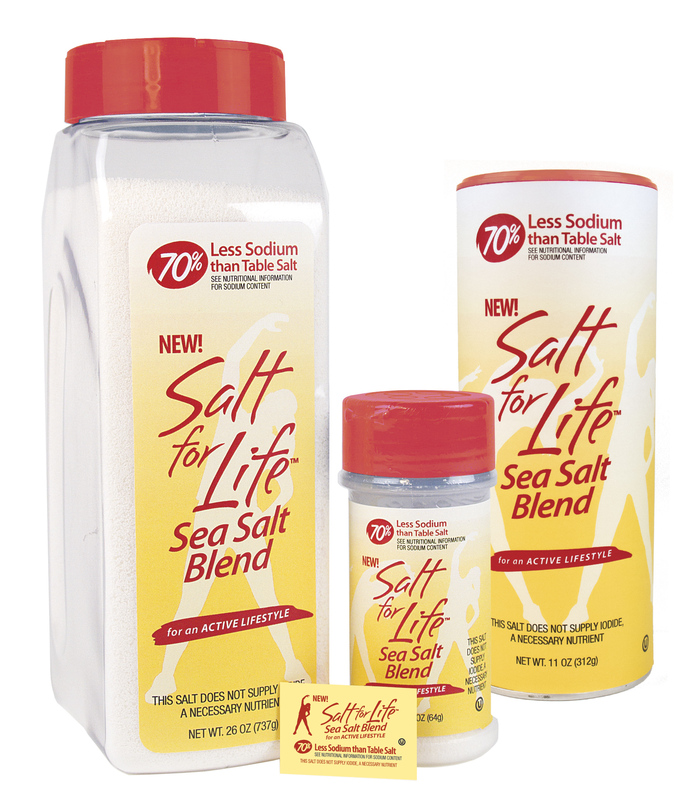 Salt for Life™ Sea Salt Blend with 70% Less Sodium, a revolutionary replacement for regular salt, will soon be available at select retailers and in the restaurant and foodservice industries. Salt for Life Sea Salt Blend combines all-natural, great-tasting sea salt enriched with potassium in a revolutionary single-crystal process, which eliminates unpleasant off-flavors often encountered in other reduced-sodium options. It contains 70% less sodium than regular table salt and easily incorporates into recipes as a one-to-one exchange for regular salt: just sprinkle it on or mix it in. Salt for Life Sea Salt Blend is an all-natural product for an active lifestyle that is allergen free, gluten free, Kosher-certified and Halal-certified. This new product comes to the market at a time when the CDC (Centers for Disease Control), WHO (World Health Organization) and other public health organizations are signaling a global epidemic of sodium overconsumption. Many studies suggest that too much dietary sodium is a key risk factor for hypertension, heart disease and other related conditions. Recently, concern has focused on salt overconsumption in children as young as six years old, and a growing number of hypertension cases among teenagers from eating too much salt. Nationally, healthcare costs for treating hypertension and heart disease-related conditions are estimated at approximately $131 billion annually. Nu-Tek Food Science, a food ingredient company headquartered in Minnetonka, Minn., is wholly dedicated to sodium reduction for healthier foods. Nu-Tek Food Science has partnered with some of the world’s largest food manufacturers—helping them achieve their sodium-reduction goals. Nu-Tek Food Science’s commercial products have significantly reduced the amount of sodium in food categories that have historically had high sodium levels, namely, deli meats and cheeses, baked goods and snacks, and prepared meals and convenience foods. For more on Salt for Life Sea Salt Blend, visit saltforlife.com. For more on Nu-Tek Food Science, visit nu-tekfoodscience.com.